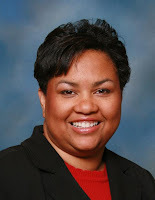 Sabrina Adams is the Founder, Publisher and CEO of Zoë Life Publishing and Partner of NewLife Book Distributors. Zoe Life and NewLife have collectively published and currently distributes over 250 titles to Christian and General Market Bookstores, as well as, Big Box Retailers (Wal-Mart, Kmart, Target) throughout the United States and worldwide via the internet. Her God given mission is to change the world one life at a time through the power of the written word. Her passion is to help writers step into their destinies as successful published authors.